We use Pola Office +. 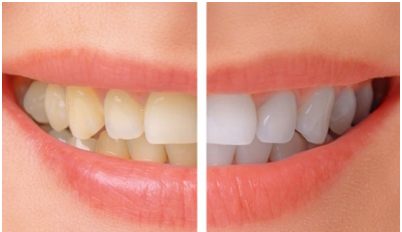 Whiter teeth in just 30 minutes treatment time. We use Pola day with 9.5% hydrogen peroxide. Custome made whitening trays ensure even whitening and safe distribution of whitening gel to minimize gum sensitivity. Poladay contains fluoride, which remineralises the tooth surface to protect against tooth sensitivity. Your desired whitening effect can be achieved in as little as 30 minutes per day. * Special price subject to change without notice.